Editorial note: Jerome Rothenberg (b. 1931) is the author of more than seventy books of poetry, including Poland/1931 (1974), A Seneca JournalKhurbn and Other Poems (1978), (1989), and most recently Concealments and Caprichos and Retrievals: Uncollected and New Poems, 1955–2010 (2011). 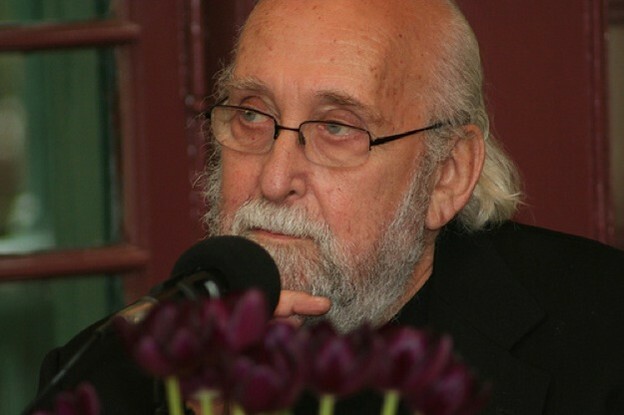 Rothenberg is also known for championing “ethnopoetics” and curates an ethnopoetics section at UbuWeb and his own blog/magazine, Poems and Poetics.